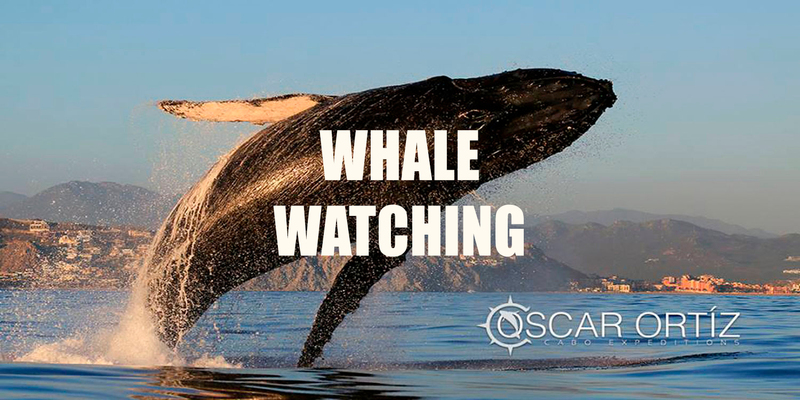 Because of their annual migration to the Sea of Cortez, since possibly the Dinosaur era, the best time for Whale Watching in Cabo San Lucas, Los Cabos, according to SEMARNAT (Secretariat of Environment and Natural Resources) is from mid-December until mid-April; allowing for up to five months of whale watching splendor. 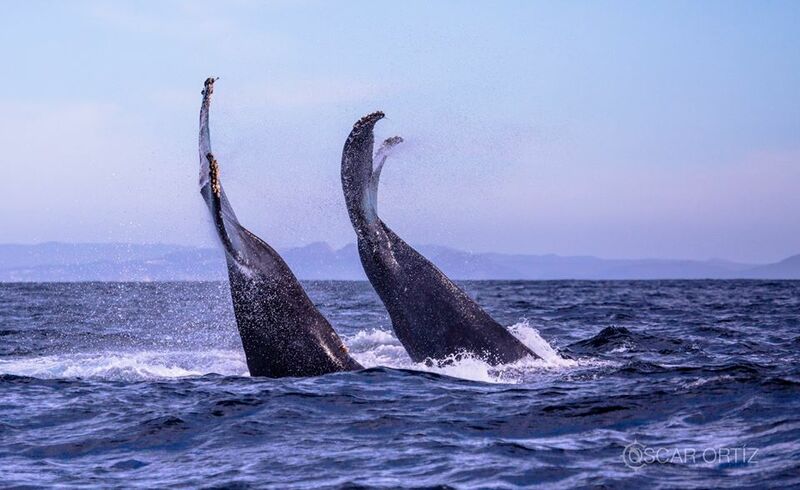 During this near half year, Humpback Whales and Gray Whales tend to meander really close to the Bay of Cabo San Lucas and its southern Sea of Cortez coastline. The variety of whales that everyone visiting Cabo comes to photograph, film and see with their naked eyes are the Humpback Whales, that are either dark gray or black in color with white patches on their stomach and have two blowholes located on the top of their heads. It is the Humpback’s that are known to be generally curious, and often approach sigh-seeing boats; coming up alongside the boat or even swimming beneath it. 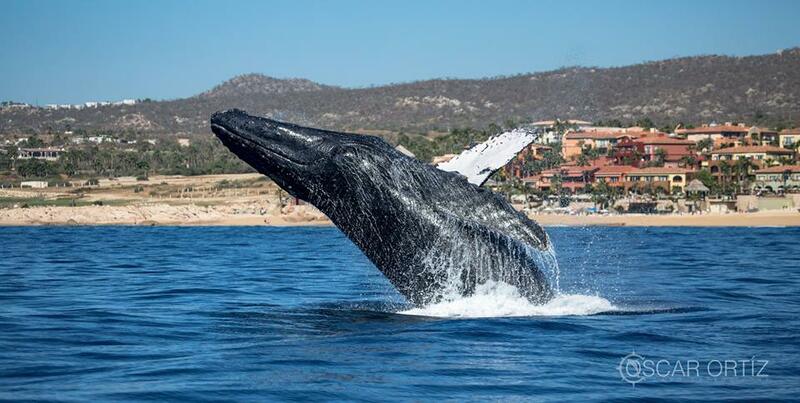 The rest of the popular whales that inhabit the warm Mexico waters during their visits, include the Gray Whales, which are the second most commonly encountered whale species in Cabo, and the Blue Whales, Fin Whales, Sperm Whales, and Killer Whales. 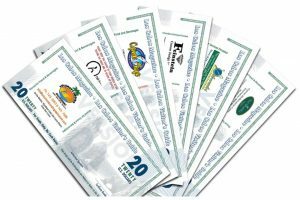 What is nice about Los Cabos is that every whale watching tour company has years and decades of experience and whale finding savvy. They know which whales prefer being close to the coastline and which one’s do not. They know which whales prefer the slightly cooler Pacific Ocean waters and which ones can be found in the warmer Sea of Cortez. Trying to swim with any whale is not only dangerous, it’s illegal. Feeding and touching them is not allowed. The use of sonar to detect the location is also prohibited. Whale watching at night must be for for scientific purposes only and done so, with permission from SEMARNAT. 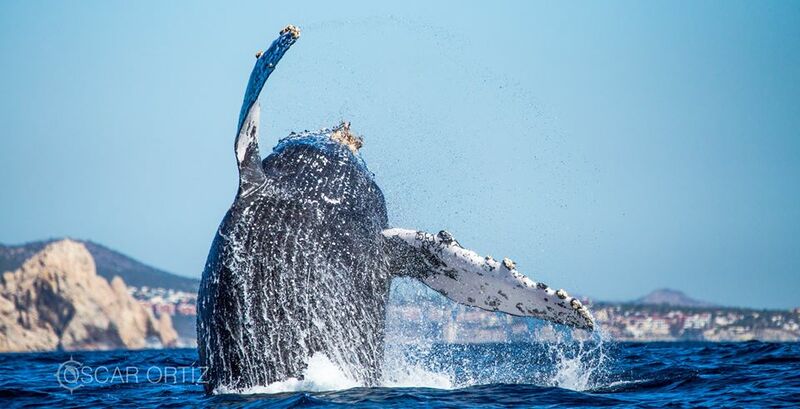 Some of the more notable whale watching tour companies consist of Cabo Adventures, Whale Watch Cabo, Cabo Expeditions, Cabo Trek, Sunrider Tours, Pez Gato, Eco Cat, Cabo Escape, Cabo Rey, and Whale Shark Island Cat.